Indulge your sweet tooth with a trip to Cafe Bake Well. 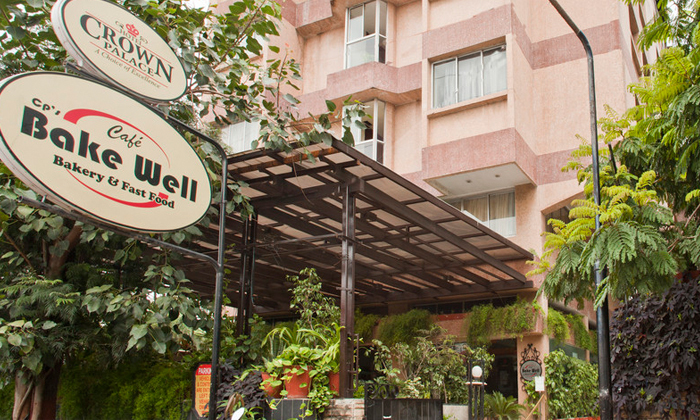 Located within the Hotel Crown Palace the cafe serves a range of cakes and bakes and fast food dishes. The cafe features a classy and refined ambiance with an outdoor seating area surrounded by lush green plants. Indulge in their spread of mouth watering delicacies as you enjo a relaxing time with friends and loved ones. The staff are friendly and welcoming and offer quick and efficient service.